Every day, the advice to pursue a career in your passion is blasted off radio, television and social media channels. However, for a fraction of the human population that actually pursue a career aligned with their passion, a very small number of people get to the pinnacle of their career and lay claim to success. One of them is Ty Pennington, a carpenter who rose to become a television personality via his expertise on woodwork. Those who have seen shows like Trading Spaces, Extreme Makeover: Home Edition are bound to know Ty Pennington. Since, 1995, he has been the face of the heights blue workers in America could reach as experts in their chosen field. With help from the diversity in American television programs, he has become a notable television personality, an author and a model. You can learn all about him by reading below. If Ty Pennington seems like a strange name, that is because that is not his real name. The television host’s real name is Gary Tygert Bruton, given to him by his parents when he was born on the 19th of October, 1964 in Atlanta, Georgia. 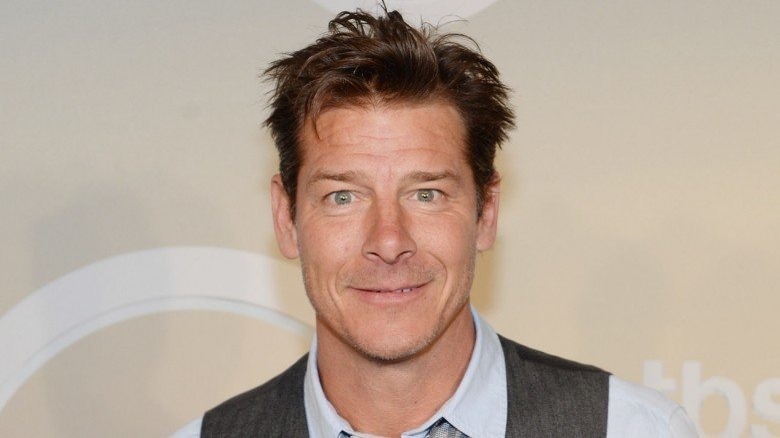 Ty Pennington did not spend much time with his father growing up; he was forced to be raised by his mother, Yvonne Bruton after she separated from his father. His name, Pennington was adopted from his mother’s subsequent marriage. Ty grew up as one of two children born to his biological parents, with a brother named Wynn. His basic education ended at Sprayberry High School in Marietta, Georgia before he proceeded to Kennesaw State University where he studied art and history. He did not, however, graduate from Kennesaw after his shifting interest caused him to transfer to the Art Institute of Atlanta, where he graduated with a degree in Graphic Design. Ty Pennington’s career has been based on the fact he is an expert carpenter and this is a skill he picked up when he was a child. He fell in love with woodworking as a young boy and taught himself carpentry and home improvement. Through his skills in the profession, he was able to pay his bills while in college. It was the first accomplishment his carpentry skill gave him. Before he became a carpenter on television, Ty Pennington’s good looks helped work as a model for a couple of years, working as a model for brands like Sprite, Diet Coke, J. Crew and Levi’s. His time as a model took him all over the world before he eventually returned to America and started life as an onscreen skilled carpenter. His door into the entertainment industry was building sets for shows like Leaving Las Vegas before he got his onscreen shot on Trading Spaces. Over time, he has appeared in over 20 shows in different capacities, including as an actor on shows like Wild Card and Wow! Wow! Wubbzy! Not many carpenters can boast of being millionaires but Ty Pennington can. He has accrued a total net worth over $12 million since he began life as a television personality. He starred on many shows as host including long-running shows like Extreme Makeover: Home Edition and Trading Spaces. These shows, among others, has helped him attain such huge net worth. Ty Pennington is believed to earning an average of $75,000 per episode of Extreme Makeover: Home Edition. Not one to keep all his wealth to himself, Ty Pennington is also a recognized philanthropist who has donated some of his money to charities. Seeing as Ty Pennington has never been officially married, the term wife may not apply to the woman in his life but that is not to say he doesn’t have a woman whom he has shared his entire life with. The media star has been in a relationship with a woman named Andrea Bock for over 20 years, having started dating in 1997. The couple, who so far has not been at the center of any scandal, has so far not had any children. Where is He Now, Is He Dead? For a long period during his career, he was frequently on television and his name filled the airwaves. However, over a period of time, Ty Pennington dropped off due to reasons that range from his ADHD problems to DUI allegations. While all of these certainly contributed to a decrease in his popularity, he did not die. He is very much alive. As for where he is now, he recently got a chance to appear on television again through the show, Trading Spaces. The show, which was part of the array of shows he appeared in at the height of his career was revived by the television network, TLC with Ty Pennington set to join as a member of the show’s cast as a carpenter.